One of my biggest pet peeves in life is a chipped manicure. It drives me crazy when my nails aren’t perfectly done, and I can’t remember ever going more than a day sans polish since high school. I went through a major phase of having acrylic nails 24/7 because my own natural nails are short and not quite durable. But, as acrylics are prone to do, they damaged what little nail I had. I looked into other options that were less costly and less damaging than the acrylics. I bought an at-home UV lamp and gel polish colors and strengthener to help hem. It worked, but I noticed that while the manicure didn’t chip, it would be overly hardened by the light and would sometimes pop off altogether. 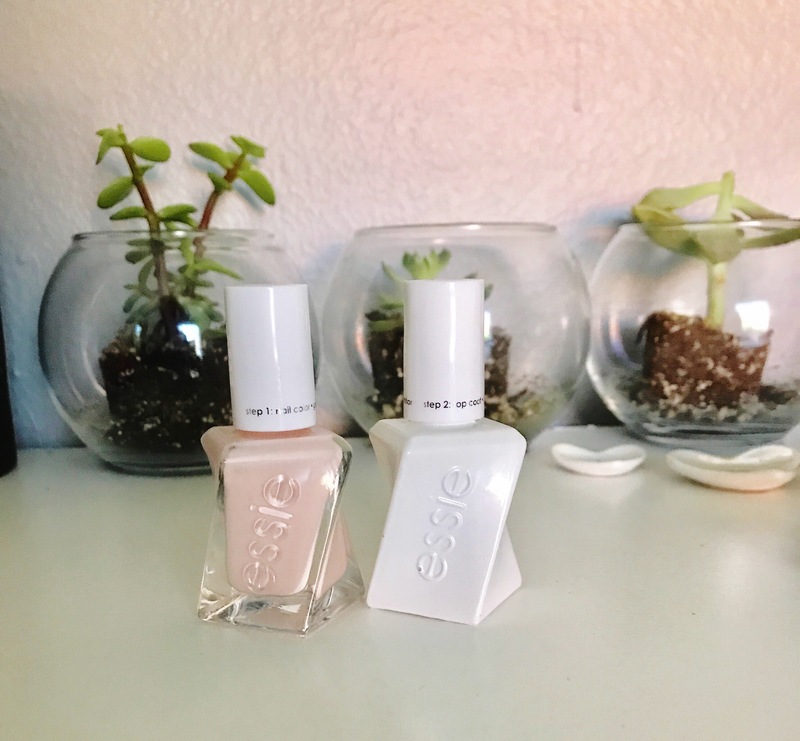 So long story short, I decided to try Essie Gel Couture. It’s made with a gel-like formula and a special topcoat. I did two coats of the color and one of the topcoat. I also re-apply the topcoat after the first few days, just to make sure it stays looking fresh. What I love about these products is that along with being durable and long-lasting, it retains shine as well. The line comes in over 60 different shades so there’s a color for every event and occasion. I used this feminine pink shade (one of my fave year-round colors). I love these products and I can’t wait to stock up on new colors for the fall. Thinking maybe this and this? What colors are your fave?